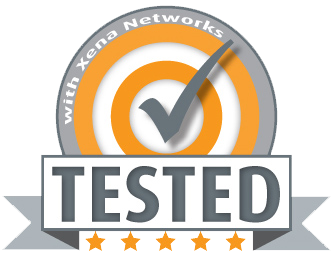 Xena Networks ApS processes personal data as part of our business – mainly from potential customers submitting forms on our website. We recognize our responsibility to be compliant with the legal regulations, such as the GDPR. The following explains how and why we store and process customer data, and what your rights are in regards to that. In this privacy statement, we refer to “you,” who is the “data subject.” We refer to companies that process your personal data on our behalf as “data processors.” We, Xena Networks, are the “data controller,” which means we are responsible for making sure the data we process is protected. By personal data, we refer to any information that can identify a natural person. We may only process common personal data, such as name, business function, business address, telephone number, email address and other personal data. We do not process any sensitive personal data at Xena. allowing us to conduct marketing campaigns including but not limited to email and phone. We may share your data with our business units in the United States, China and India. We may also share your data with our sales partners all around the world. For example, when you become a lead in our CRM system, we may transfer the lead to our partner in your country, so they can contact you. That partner then becomes the controller of the data. Should your personal data be provided to us via a partner or customer, we shall assume that he has informed you of our Privacy Statement. We store personal data for as long as it is necessary and legally permitted. After that storage period, or if you ask us to delete your personal data at any point of time, we will erase all personal data. Here we list some of the rights you have in regards to your personal we use. You can manage your subscription management settings here. Right to access. You can at any time contact us to find out whether or not we are processing your personal data. If we do so, we will inform you what categories of personal data this concerns, the purpose of processing, the retention period of the data we store, why we store it for that period, and to whom your personal data is disclosed. Right to be forgotten. You have the right to have all your personal data erased from our systems if requested, unless we have a legitimate ground to not erase the data. We may not immediately be able to erase all residual copies from our servers and backup systems after the active data has been erased. Such copies will however be erased as soon as reasonably possible. Right to withdraw consent. You can at any time withdraw the consent you have given to us, by contacting us over the contact details listed below. Right to rectification. You have the right to correct or complete your personal data we store. Right to data portability. You have the right to receive all you data in a way, that you can transmit those data to a third party. We may update this Privacy Statement at any time if required to reflect personal data protection laws or changes in our practices of processing your personal data, or other factors. If we make any substantial changes, we will inform you of this by reasonable means.